Dr. Latz was invited to a symposium on light contamination in Puerto Rico, the 3rd Light Pollution Form, held in August 2016. In his presentation he discussed the importance of dark nighttime conditions for optimum viewing of bioluminescence. Joined by Puerto Rico scientists Prof. Juan Gonalez and Dr. Brenda Soler-Figueroa, he answered questions from an audience representing a broad segment of stakeholders. Puerto Rico is proactive in its efforts to support the Dark Sky Initiative in reducing light ‘pollution’; legislation limits nighttime lighting in the vicinity of bioluminescent bays. During April 2016, communication design student Jack Smith from the University of the Arts London performed a one-week residency exploring sound stimulation of bioluminescence. Jack used synthesizers to create an amazing series of imagery and films. Follow Jack’s journey as he journaled his project. Bubbles are known to be high effective in stimulating dinoflagellate bioluminescence and are important in two-phase flows. 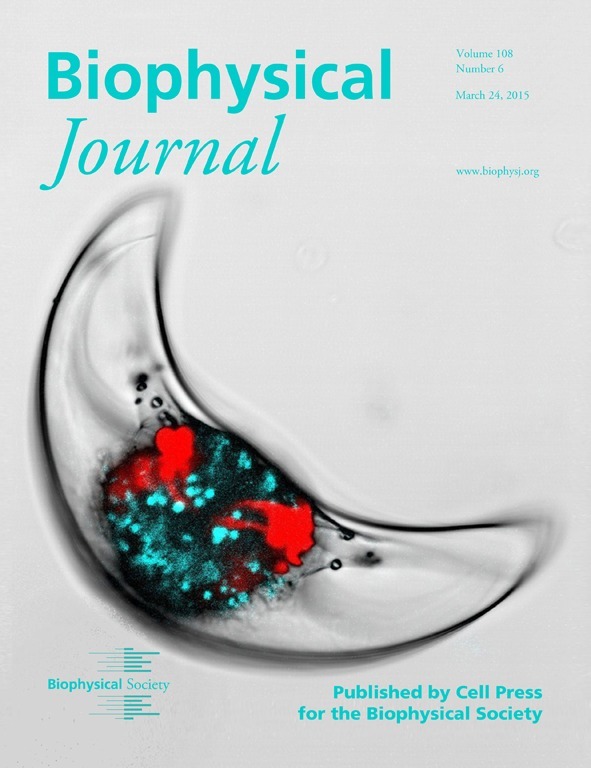 Our new paper published in the journal Luminescence provides a quantitative study of the stimulation of dinoflagellate bioluminescence by bubbles. Bioluminescence was stimulated by single bubbles as small as 0.3 mm radius. Bubble clouds with low air flow rates produced bioluminescence levels as expected based on the single bubble results. Bubble clouds with high air flow rates stimulated more bioluminescence than predicted, most likely due to buoyancy effects that resulted in additional fluid shear stress. Coupled with a quantitative model of how fluid shear stress stimulates dinoflagellate bioluminescence, this new understanding for bubbles is relevant to two-phase oceanic flows such as in ship wakes and breaking waves, as well as in laboratory conditions such as sparged bioreactors. London-based artist Iyvone Khoo, Artist in Residence in 2014, returned for an additional 6 week residency one year later. Joined by assistant Miguel Guzman, aka “The Dino Whisperer”, Iyvone explored high magnification high resolution imaging of the bioluminescence of unrestrained dinoflagellates. Iyvone intends to display the footage during installations in 2016-2017. London-based artist Iyvone Khoo created the work called ‘Ara Lucidus’ involving glass sculpture and video projection of natural phenomena including bioluminescence. ‘Ara Lucidus’ was displayed at GLASSTRESS GOTIKA 2015 in Venice, Italy. The work was considered for a darc award, which celebrates the best in international architectural and decorative lighting design. Ms. Khoo filmed dinoflagellate bioluminescence while an Artist in Residence at Scripps Institution of Oceanography during September 2014. The Vieques Conservation and Historical Trust sponsored a workshop on the identification of phytoplankton common to Caribbean bioluminescent bays. The workshop was led by Scripps marine biologist Melissa Carter, who instructed participants from Puerto Rico and St. Croix, U.S. Virgin Islands, on sampling and microscope identification techniques. Previous bioluminescence projects studying the bioluminescent bays of Vieques and St. Croix have involved phytoplankton identification by Scripps. The idea behind the workshop is to enable local citizen scientists to perform simple, low cost, cell counting of preserved water samples. Scripps continues to provide scientific expertise to Puerto Rico and St. Croix for study of the bioluminescent bays, to promote effective management and conservation. We have published a new paper in which we use dinoflagellate bioluminescence as an indicator of the response to mechanical stimuli. The full text article includes a movie as supplemental material. The cover image for the journal issue highlights our study, which we describe in an accompanying blog post. This study is interesting because it uses a sophisticated instrument, the atomic force microscopy, to apply precise mechanical stimuli to single dinoflagellate cells. The natural bioluminescence of dinoflagellates serves as an indicator of cell response to the mechanical stimuli. By varying the parameters of the applied stimuli, we determined that the viscoelastic properties of the cell explained the velocity dependent cell response. We are interested in dinoflagellate bioluminescence because it is a rapid but complex mechanosensing system that may have conserved elements that are used in mechanosensing by higher organisms including humans. Further study will ‘shed light’ on the evolution of mechanosensing in simple organisms. The work was done with former SIO postdoc Benoit Tesson, who is now working in France. For more information about the study, see the article in SIO Explorations, the online magazine of Scripps. To celebrate the 20th anniversary of this web site, we have launched a newly designed site with updated content. Enjoy! What happens when a cardinal fish attacks an ostracod? The BBC calls it ‘fish fireworks’. You can see a video here. The ostracod produces a luminescent spew that serves as a burglar alarm, where the fish is the ‘burglar’ and the ostracod is the ‘victim’. In this case the ‘police’ is a predator of the fish that is attracted to the light display. Mosquito Bay, Vieques, Puerto Rico is considered one of the best bioluminescent bays in the world. However, in January 2014 it went dark and then exhibited low bioluminescence for several months. Read more about this problem in a recent article in the NY Times. Alarmed that the problem was due to overuse of the bay by tourists, who flock to the island to experience the bioluminescence, the government instituted a partial moratorium on use of the bay, with tours allowed only on the weekends. However, due to a lack of systematic monitoring of environmental quality, there is insufficient information on what factors caused the loss of bioluminescence. Perhaps it was due to overuse of the bay. But another idea is that it was caused by the weather, specifically high winds in January with a shift in wind direction in March caused increased turbidity, turbulence, and loss of dinoflagellates from the bay.